I first met Eng Beng when he covered my story on Pioneer magazine. Despite being acquaintances on Facebook, we did not keep in touch after the interview. Some time this year I saw his update on Facebook, a picture of him with former Minister Mah Bow Tan. I went on to read his story. I was deeply saddened yet inspired at the same time. Dysfunctional family. Work and study at the same time. 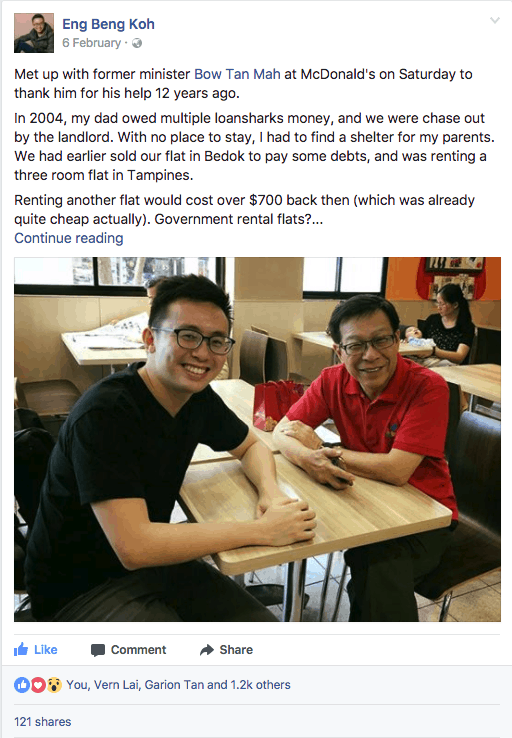 Harassed by loan sharks and saddled with a mortgage at 22 years old. I have little confidence I could emerge from the ordeal like he did. Stories like these remind me how lucky I am and how my ‘problems’ pale in comparison. I took the chance to get reconnected with him and also to ask him a few questions about his source of courage and motivation to lead a positive life. Hopefully Eng Beng’s story would inspire you as much as it inspired me. 1) What gave you that positive attitude towards life? I believe many people would have given up and be resigned to fate instead of taking matters into their own hands. You could have turned out the other way. Nope, I wasn’t born with a positive attitude. I did what I did because I had no choice. I had no one to turn to — my mum had not worked for decades and was suffering from severe depression. My dad kept on borrowing money, and I had lost touch with my relatives because of family quarrels between the older generations. I would love to tell you that I am a superhuman who is always positive. But I am not. I was reclusive for a long time and cooped up in my room all day. I spent hours thinking about my problems, or watching videos and surfing the internet. These mindless activities numbed my pain, but they did little to improve my situation. Instead of taking concrete steps to solve the pressing issues, I was constantly reminding myself how bad my situation was. My problems became my excuse for not doing anything. When I was a 17-year-old student in VJC, I was elected as a student councillor. Yet I quit before I even took office. I even quit school for a few months. This was when the loan shark troubles first started. They would splash red paint on the door of my house. I had to keep my head down when I came home after school as my neighbours would look at me as if I had done something shameful. At night, I would wake up to the slightest sound of footsteps, thinking that the loan sharks were coming. 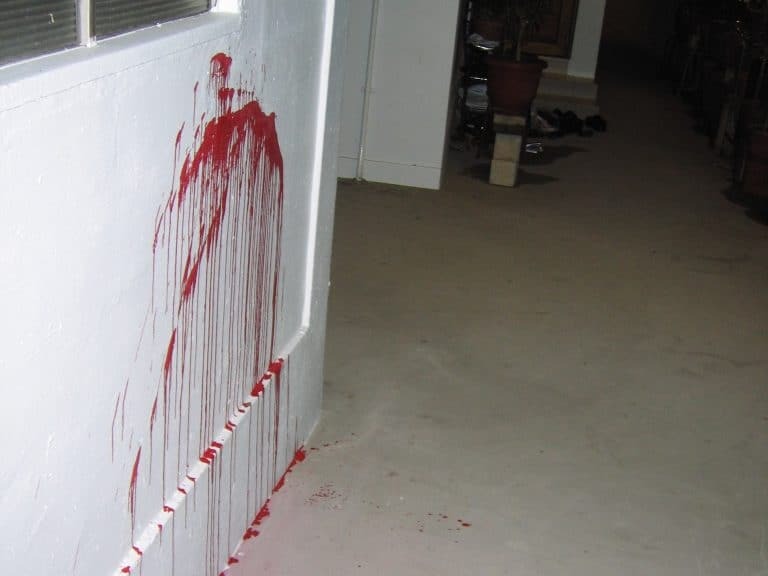 Loansharks often splashed red paint at the door and walls of my house. When I started my university studies in NTU, the same thing happened. I left my post in the hostel management committee after a year. I quit being part of the campus newspaper Nanyang Chronicle, even though I had just taken on the role of assistant news editor. Looking back, I realised quitting out of frustration was a bad pattern in my life. I was wallowing in self-pity and I felt that people should cut me some slack. Why can’t I lead a carefree life as a student? Why was life being so unfair to me? But here’s the thing: feeling sorry for yourself only makes you feel that you can avoid taking responsibility for your actions. It is a waste of time. It drains you mentally. And it does nothing to improve your situation. It makes you an angry, sad, lonely, and depressed person. Then the next question is: how did I realise and learn all these? I read a lot of self-help books. Because I didn’t have a proper role model in my life, reading books was the only way for me to get a teacher of life. One of the books that radically transformed my life is Master Your Mind, Design Your Destiny by Adam Khoo and Stuart Tan. They are both my wealth and personal development mentors now. Through the book, I learnt about the psychology of success. I learnt how to take charge of my emotions, to break the negative patterns in my life, and to turn adversity into opportunities. It was as if I suddenly discovered a set of mind hacks. For example, since I am so good at procrastinating, how about I start procrastinating on procrastination? Another example: if I can be so ‘successful’ at making myself feel depressed and sad, surely I can be equally ‘successful’ in making myself feel motivated and happy? It is just a question of strategy, right? Perhaps my greatest takeaway is this – depressed people always think about how bad their problems are, convincing themselves that their situation is beyond hope. Many fail to realise that successful people face challenges too. The only difference is that they choose to deal with it differently. They ask powerful questions like, what lessons can I learn from this set back? How can I turn the situation around? Are there opportunities that I can take advantage of from this crisis? With a new mindset, I began to see what is happening in my life differently. For example, what my dad passed on were now no longer debt woes, but a real life education on the importance of managing personal and business cash flow. And because I was so poor, I was more driven to succeed. 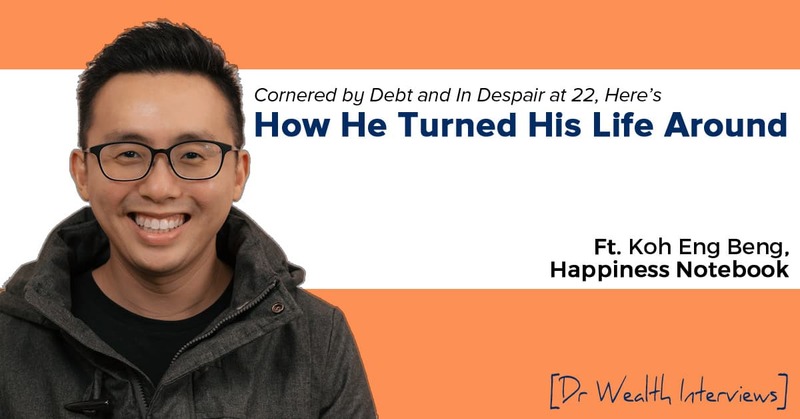 And because I was ‘forced’ to buy a flat so early on in life, I was able to buy at the bottom of the property cycle, pay off the HDB loan and be debt free at a relatively young age of 34. The house that I bought when I was still in university after our landlord chased us out for not keeping up with the rental payments and for the loanshark harassment. 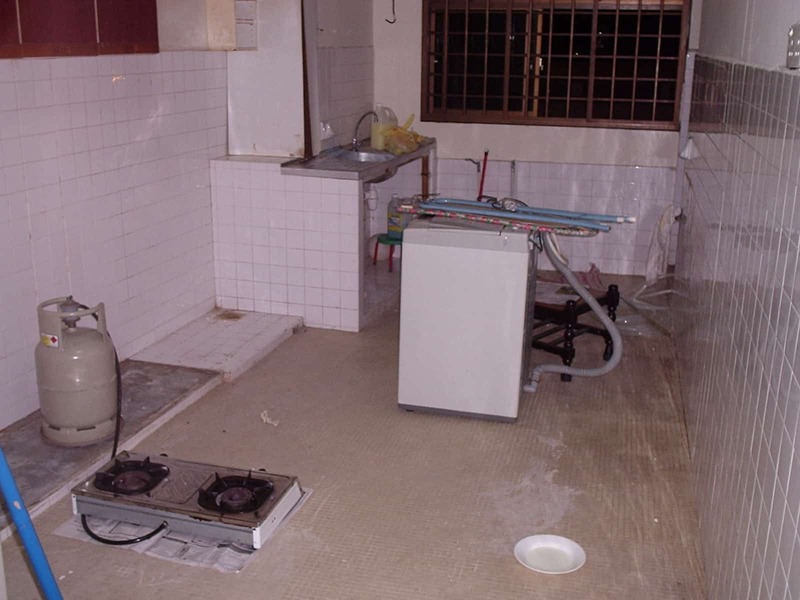 My home remained in this state for a few years as I was struggling to make ends meet. It was during this period of time that I understood the stress that my dad went through as a sole breadwinner. And lessons were not always about money. My mum, who is now suffering from dwindling mental capacity, taught me a real lesson on the importance of working, being socially active, and staying positive. My parents’ broken relationship taught me the importance of husband and wife supporting each other’s dreams and hopes, both in good times and bad. 2) There were mortgage, your dad’s debts, utilities and living allowances for the three of you. How did you manage to budget your expenses with the amount you were earning? What can others in a similar financial situation learn from you? I would share what I did during my university days because this period of my life was my toughest. I analysed my financial situation using pen and paper. Just two simple columns — income and expenses. I had a projection of my monthly income — from my regular part-time job as an editorial assistant at Singapore Press Holdings, tuition assignments, ad-hoc jobs like selling Christmas cards door to door at HDB flats, conducting surveys and helping out at events, as well as money from university loan and bursary grants. Similarly, I had a projection of monthly expenses for myself and the family. From there on, it boils down to a matter of balancing both columns. So the first step was to do what I could do within my means. But when I really couldn’t manage, I had to rely on help from friends. One of them was David Zhang, my former junior college classmate, who lent me his savings without hesitation when I needed money urgently to pay off a few loan sharks. It was a challenging period as my dad then just suffered a stroke, and lost the use of his left limbs. I also want to sound out to people going through similar tough times: You have to take care of your morale. I was studying and working seven days a week. On top of that, I had to contend with harassment from loansharks when I returned home. It was depressing. I would have gone crazy had I not budgeted for leisure and entertainment. I went for movies, the occasional karaoke sessions and even a short trip to Taiwan with friends to unwind. I could have saved up the money, but I would have sunk into depression. To keep yourself sane, it’s also important to create an optimistic and hopeful future for yourself. It is vital to have something exciting to look forward to and to fight for. It should be something that could happen in the near future, like in a few months or a year’s time, something not too distant. For example, during my third-year of studies in NTU, I set an ambitious goal to study overseas at Peking University in Beijing, China, under a study and internship programme. Obviously I could not afford to go overseas for six months. So besides teaching tuition for up to seven students at one go, I took on more shift work at SPH to save up six months worth of family expenses. For four days a week, I would be in the office from 5.30am to 2.30pm. On one occasion when a colleague fell ill, I volunteered to fill in and work two straight 12-hour shifts. I was tired but productive. I was too busy to worry about my problems, which was a good thing. Most importantly, I was working towards something exciting, instead of just trudging along for survival and to pay off debts. An NTU bursary took care of the air tickets and accommodation. Living expenses in China was a problem though. I was interning in a Chinese company which did not provide an allowance. But in life, you have to ask before you can get what you want. Three weeks into the internship, confident that the boss had a good impression of me and my school mate, we went up to him to ask him for an allowance. He agreed! Even if he had said no, I had a transcribing job as a back up. The internship allowance gave me a peace of mind to explore the country and to experience its culture. I visited great historical sites like the Great Wall and Temple of Heavens, and I got to study in Peking University, the best university in China. I also got to experience living as a farmer in a far-flung village in Hubei, home of a Chinese schoolmate from Tsinghua University. Before leaving for Beijing, I did not have the time to take part in student activities in NTU, but the overseas stint more than made up for it. I had the chance to organise an event and speak with Mr Tharman Shanmugaratnam, then Education Minister, and Mr Lim Ming Yan, then CEO of CapitaLand China. We were roped in by the Singapore Student Council of Peking University, and Singapore Chinese Chamber of Commerce (Beijing), and Overseas Singapore Unit to organise a Ministerial Dialogue with Singapore students based in Beijing. Despite the difficult financial circumstances back home, I was still able to ‘salvage’ the situation and lead a fulfilling student life. 3) I believe you have gained a lot of wisdom about your relationship with money having gone through this. What the most important attitude you hold towards money? Here’s my take: If you don’t chase after money and keep hold of it, debts will come chasing after you. Then people will ask how do you chase after money? Well, you make more money by solving bigger problems for people. To do so, you have to learn new skills. To make even more money, find a way to solve problems for MORE people. Then, how do you hold onto your money? Spend less than you earn. Buy cost-effective insurance to prevent a disaster from wiping out your wealth. Holding on to money is probably the most important component. For example, a reader of my blog shared with me that he earns a five figure salary in his sales job. He seems very successful and drives a big car, but the reality is he is burdened by a huge debt. Guess how much he was paying each month for his loan instalment? A whopping $8,000 monthly! He had no idea how to get out of it. So the key learning lesson here is you will do fine even if you don’t earn much, as long as you spend less than what you earn. If you are able to hold on to your money, armed with a pot of savings, you can start to invest. The power of compounding over a long period of time will grow your money exponentially. The key is to be patient, buy really low and sell really high. For example, I only buy a stock that is priced at least 40% to 50% below my valuation. Such opportunities usually come along during bad times like the 2008 subprime mortgage crisis, and more recently Brexit, and oil price crash. I can’t share much on this topic as I approach investing in the same manner as I use electricity. I don’t need to know the science behind electricity to use it, but I do know how to keep myself safe from an electric shock. 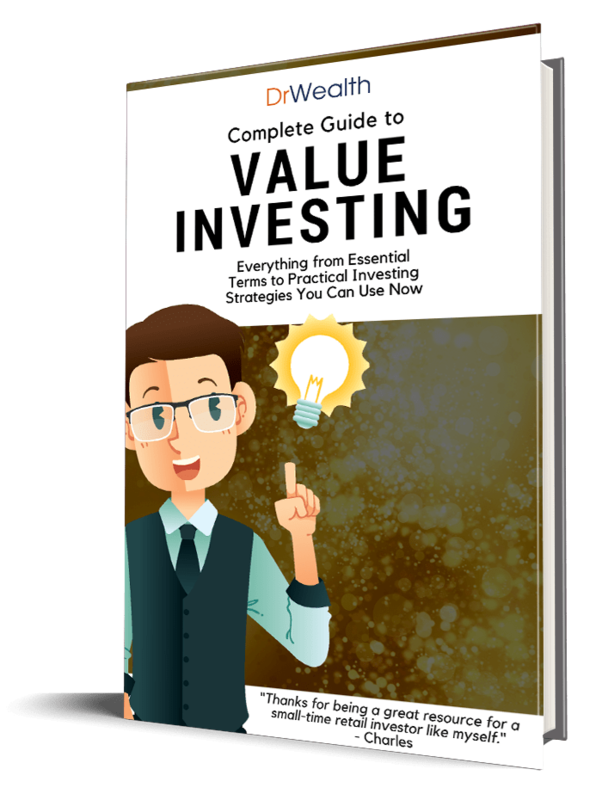 I learnt these simplified methods of investing by attending courses and learning from my investment-savvy friends. To sum up, what I shared from my experience is not rocket science, but I know statistically most people would not do it — learn new skills to solve bigger problems for more people, spend less than you earn, buy insurance, and invest wisely. Ultimately, financial success boils down to having a strong and positive mindset. It is just like losing weight. We all know that losing weight is essentially about exercising more and eating less, and there are so many gyms and diet recipes around. But how many people take action and persevere? The answer is obvious. So do whatever it takes, okay? With that, I wish everyone happiness, great health and success. Eng Beng continues to inspire people around the world at HappinessNotebook.com. Eng Beng is my friend since Pri 5. None of us friends noticed a thing about what was going thru for him, he is forever cheerful when outside, mischievous, playful, fun loving kind of person. Looking at the kind of “misery” that people are sharing all over social media, they should really be ashamed of themselves.